Etching by Jacques Androuet du Cerceau, 15.7 x 22.7 S (Florence). 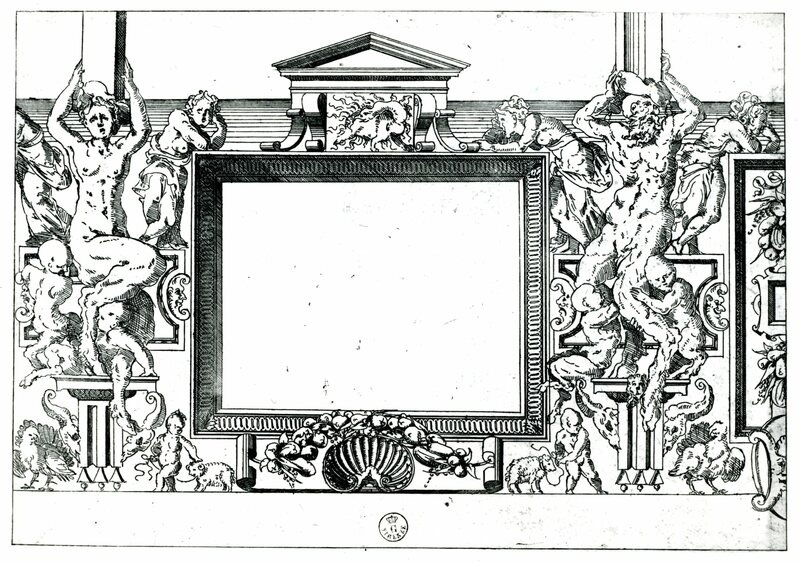 This print may be Herbet, IV, 1900, 301 (1969, 151), IV (Grands Cartouches, First Set), 8, although in this case Herbet’s description is not accurate and his reference to its being related to the frame of the Venus and Minerva in the Gallery of Francis I would be incorrect, as well as his references to related prints by Fantuzzi, Moro (Schiavone) and to another by Du Cerceau. Otherwise this print is not catalogued by him. Herbet did not mention this print under Petits Cartouches, no. 22, of the same subject. COLLECTIONS: Florence, 12776 st. in vol. (15.7 x 22.7 S). New York, 65.525, no. 45; and 49.20.8(6) [Byrne, 1981]. Zerner, in EdF, 1972, 267, under no. 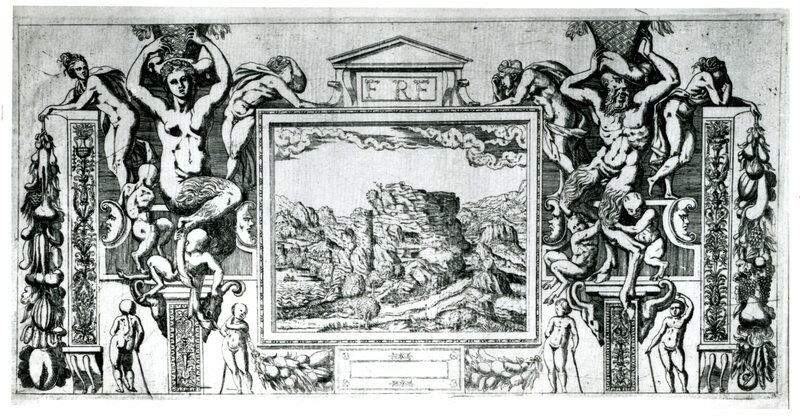 313, as not derived from Fantuzzi’s etching. Béguin and Pressouyre, 1972, 125. Byrne, 1981, 122, Fig. 160 (New York), 123, no. 160. Reed and Wallace, 1989, 29, n. 2, under no. 15, as closer to Rosso’s decoration than to Fantuzzi’s etching. Boorsch, in French Renaissance, 1994, 241, n. 5, under no. 40, as not in Herbet and as after Fantuzzi’s etching [E.75]; also as closer than his other print [E.55,3] to what appears in the gallery as it shows a salamander above and a shell below. 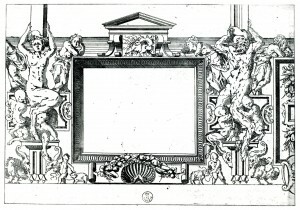 For this print that is related to the framing of the Enlightenment of Francis I in the Gallery of Francis I, see under P.22, VII South, where it is stated that it may be based upon the same lost drawing by Rosso that Fantuzzi used, and differently varied, for his etching (Fig.E.75).